Stretching from the West Coast to the Pacific Ocean, the beautiful country of Canada is a great destination for learning, living and experiencing. The students also told each other about the beauty of the majestic Niagara Falls, the enchanting scenery of the Kananaskis snow mountain or the vast sunflower field. Have you planned the trip then? But first try the five special things below you! 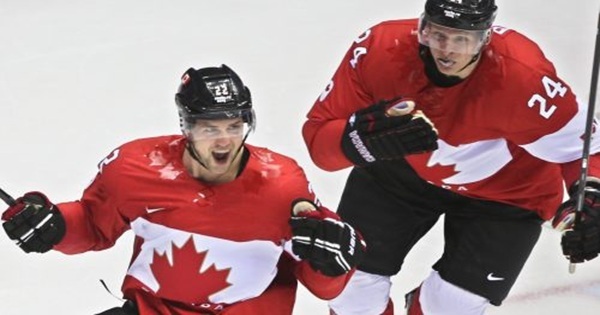 Men's hockey wallet is the heart of Canada's sport. Most hockey matches are played on television. Any person can name the big teams playing in the domestic league. You can watch on TV, on the internet, or on the big screen at pubs, but definitely go to the live one time. Getting into the atmosphere of the game, crying, laughing, screaming was a wonderful experience. There are many who say that watching from outside the hockey does not bring beautiful feeling because too many people compete a tiny disk, messy and easily cause injuries. But hockey players must be able to reach new heights as they move on wheeled shoes and have the technology to fight. They have flexible legs, clever hands, excellent balance, quick judgment, and proper tactics. Visit Toronto with the CN Tower - the most popular sightseeing site for the strongest. You will be going up by the elevator throughout. If you stop at LookOut on the 113th floor in 58 seconds you will feel dizzy. You can walk out on the Glass Floor to taste the feeling of falling to the bottom. And once you try feeling hung on the steel wire at the top of the CN Tower and watching the scenery from about 350 meters high. The Rideau Canal was recognized as Canada's National Historic Landmark in 2007. It was crowded with boats in the summer but turned into the longest natural ice skating rink in the world in winter. 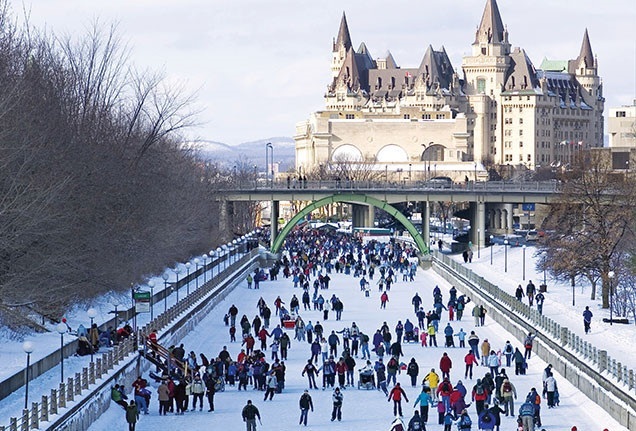 The 202-mile Rideau Canal, which runs from Ottawa to Kingston, was built between 1827 and 1832. For about 50 days in the winter, visitors can walk on the glacier. The two sides of the road sell hot chocolate and berponails a local specialty. Dogs are the traditional means that Canadians use to travel on snow and ice on winter days. 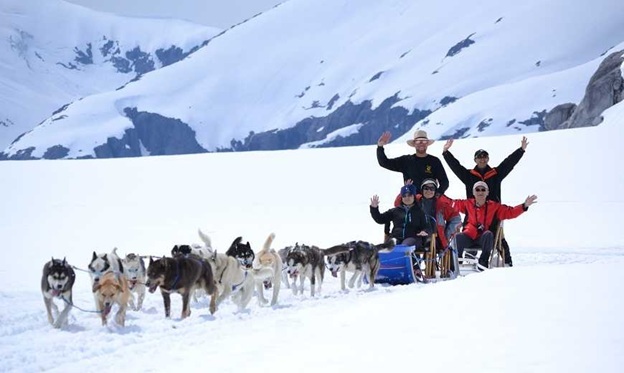 You can get these sled dogs to take you to the famous tourist attractions. You can even learn how to control these carriages yourself, and it will certainly be an enjoyable experience for anyone. Canada is a country blessed with beautiful scenery. 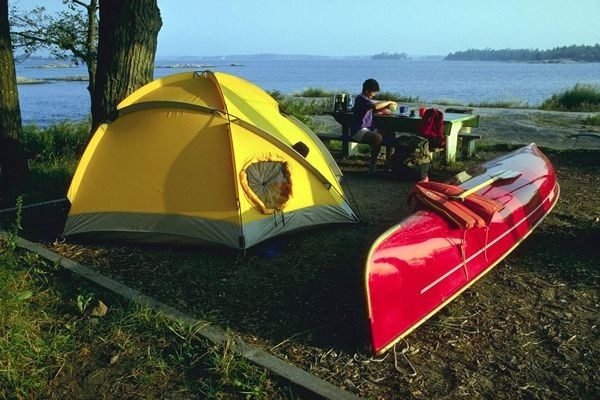 In the summer or between sessions, you can go camping with you, explore nature. Popular locations such as Niagara Falls or Lake Superior Park will be a good suggestion. With friends enjoying nature and exploring local culture is something that every student wants to do, right?